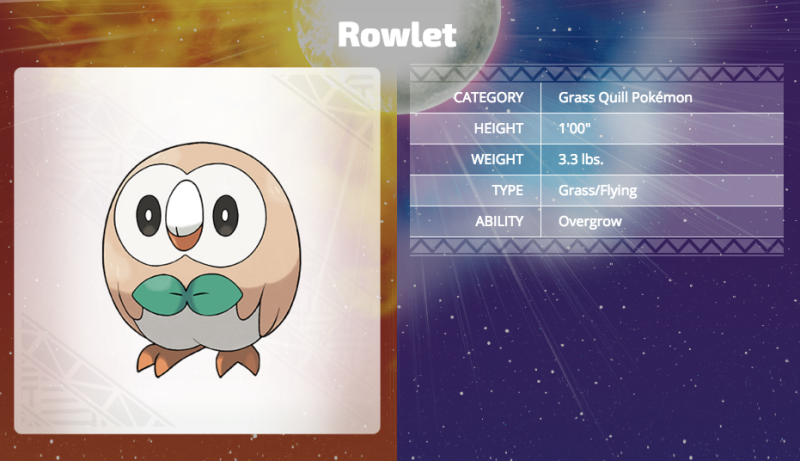 Sun and Moon versions and the logos have already been trademarked. Moved topic from General Discussion to the Arcade. What are their hidden abilities and stat distributions at max rank? I don't know the owl is pretty good and the sealion is average that cat through is horrible. In post 6, RadiantCowbells wrote: What are their hidden abilities and stat distributions at max rank? Because "fire breathing lizard" is really original! The cat is my favorite! I just can't get behind the Sea Lion though. 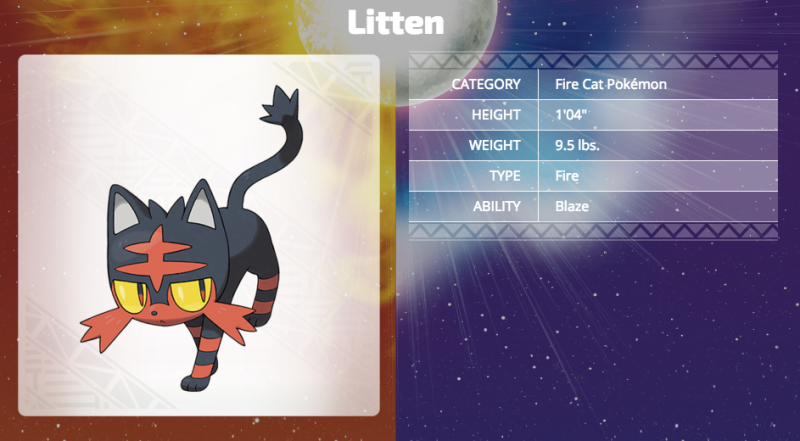 I don't understand why anyone can like the cat when litleo is a better fire feline design wise. 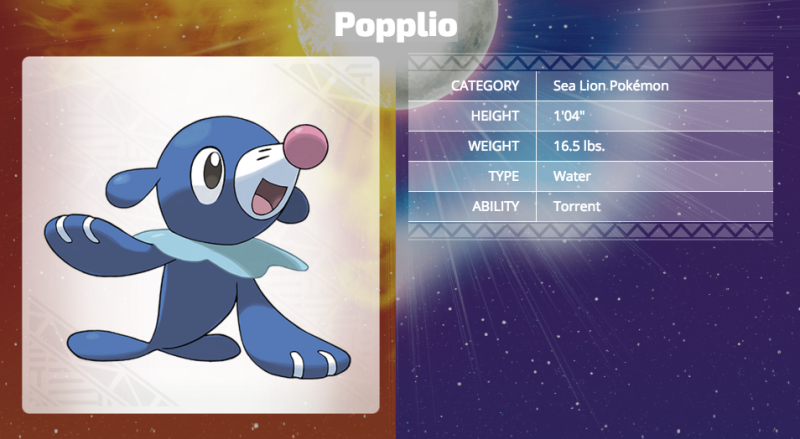 I Popplio is adorable! Watching it do tricks all day would be sweet, too. Forgot to say the region is based on Hawaii. ^God i hate when people do that, normally it isn't even disrespectful at all. "I like shorts! They're comfy and easy to wear!" - What every single NPC in these games is going to say at some point. you know whats easier to wear than shorts? anyway the designs for new Pokemon species has only improved over time and gen 1 had some of the laziest ones of all (pile of goo! bigger pile of goo! pink pile of goo! pokeball! upside down pokeball! just some eggs!) and even if it had some of the most beloved and elegant designs as well, the general sentiment that they've gotten worse over time is just silly.